Fu just left after we made two quick batches of vegan cheese. Vegan cheese basically consists of soaked cashews, red miso, coconut oil, salt, and water. 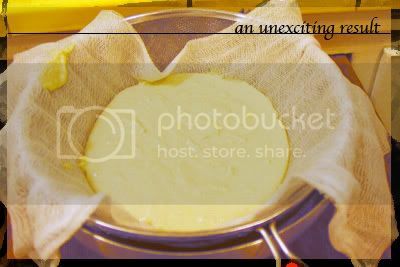 While I tried to be a good food blogger and ensure that there were photos documenting the process... unfortunately, vegan cheese is not a pretty adventure... it's actually a rather bland photography subject. 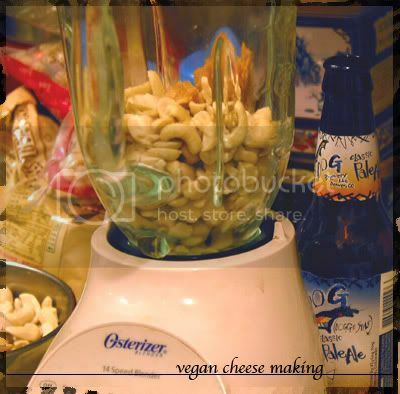 Begin with wet cashews in a blender. Then blend with all the other ingredients until you get a smooth consistency. Anyhoo, it really doesn't taste like cheese... it tastes like... miso. So we're hoping after draining for a night, that it will taste more like cheese. Our first batch we left plain, but the second batch we flavored with cumin. I might have to buy this cookbook when it appears. I'm tempted to try to make that vegan cheese!